Tropical Fish Hull. 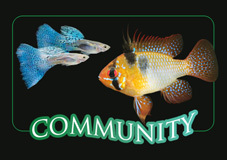 Frisby Aquatics - tropical fish retailer and Malawi Cichlid specialist. Frisby Aquatics have long been regarded as one of the regions leading retailers in freshwater aquatics. We employ only experienced and friendly staff that have helped us build our reputation over the years. Whether its help you need with a problem or advice about your next set up we're here to help. The quality of our service is only matched by our diverse range of live stock that can be viewed on our regularly updated stock lists here on the website. Alternatively you can also keep upto date with our stock by subscribing to our e-news letter. Frisby Aquatics have a newly stocked and exicting Community Fish range. View Frisby Aquatics online video resource.